Altered States, 2008. 2min. 18sec. color, stereo. In Altered States (2008) a man and a woman are projected on two opposite walls. Both say two sentences, one of uttermost love and one of bitter hatred. 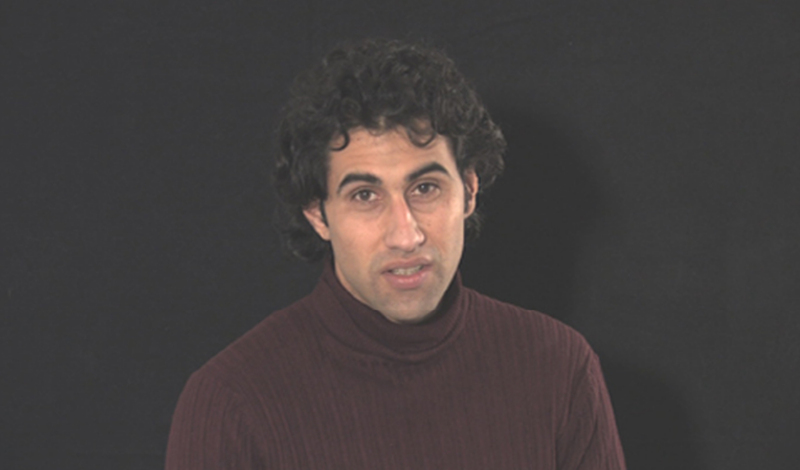 The sound has been manipulated and edited so that the female and male voices during the spoken sentences are switched with every single word and combined to both the speakers. The performers are a Palestinian man and an Israeli woman. Once again Krippendorff uses sentences taken from the movie West Side Story as reference to a racial issues as portrayed in popular media. 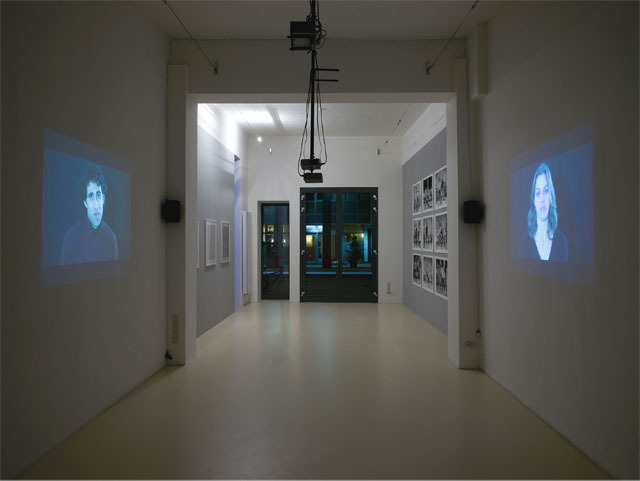 Installation view from “Don’t Push Me!”, 2009; M+R Fricke Gallery, Berlin.